As a registered National Disbability Insurance Scheme Provider, we are able to supply all the products on this website. Plus we can source whatever equipment you require even if its not listed. As a local provider we give you peace of mind by delivering, installing and on going maintanance. We will match any written quotes, athough our quotes are usually more competitive in the first place! Support of your local Sunshine Coast business is really appreciated. Registered providers are individuals or organisations that are registered with the NDIS to deliver a support or a product to a participant in the NDIS. The goal is to help those with disability for improved wellbeing and to provide additional support to individuals within the community. 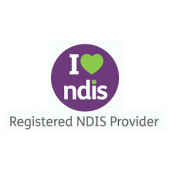 We are a registered NDIS provider, and will source any products you may need and help you gain control of your life. You need to be an Australian Citizen or have a permanant visa.